We recently covered a startup, Ostara, that turns sludge liquid into high-quality commercial fertilizer. 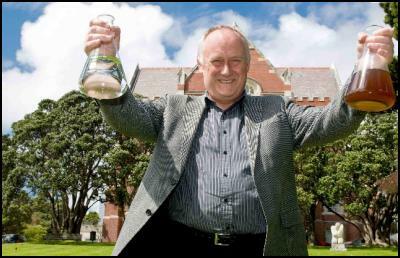 Now Victoria University of Wellington in New Zealand wants to do Ostara one better with Wetox, a project that breaks down sludge and turns it into a number of byproducts, including fertilizer, water, steam, and acetic acid. drive a turbine for power generation or the heat generated can be used for industrial process heating. So like Ostara’s process, Wetox recovers phosphates–nonrenewable elements of fertilizer that are in danger of decline. But the Wetox process also offers up acetic acid, which is used in manufacturing and often comes from petroleum feedstocks. Next up for Wetox: more testing and scoping out different international markets. Judging by Ostara’s success (two massive plants in the year since launch), Wetox won’t likely have any problems finding customers.